We've received our third entry this year from Hood River, OR's Offshore veteran Tom Keffer. Tom will race Velocity, a his J42, which has a newly minted PHRF rating of 72. We're told that although the crew is not a fan, this boat loves heavy wind on the nose. It's a great quality to have for the Oregon Offshore. We've heard there is a little confusion regarding which PIYA safety requirements are being used for the race this year... The Oregon Offshore Race Committee has published Safety Equipment Requirements (SERs) specific to this year's race. They are similar to PIYA's new Coastal+ category, but with many differences. Please be sure to download the SERs specific to the Oregon Offshore early enough to be prepared for the race this May. You can download the Oregon Offshore SERs by clicking on the link that reads "Safety Equipment Requirements" at the top left of this screen. As always, feel free to email the race committee or the Oregon Offshore Google Group for more information. Two boats makes a race! 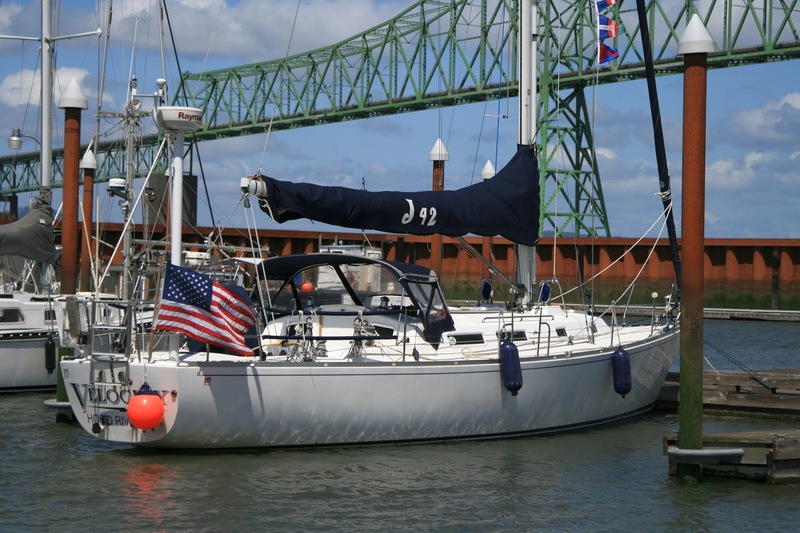 Our second entry arrived today from Pete Shainin, veteran Oregon Offshore racer and owner of Passepartout. She is a Stevens 47 with a PHRF rating of 115. Passepartout hails from Mt. Vernon, Washington. We've received our first entry for the 2014 Oregon Offshore Race! 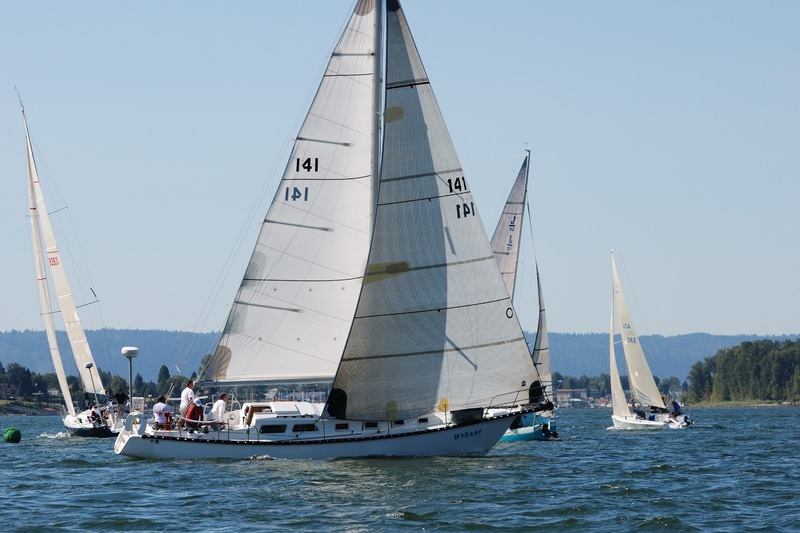 Frank Colistro has entered his Cascade 36, Wy'East, to race with a PHRF rating of 153. Frank currently holds the record for the number of Oregon Offshore races complete, at 19 races. Wy'East hails from beautiful Portland, Oregon. Give Frank a run for his money. Send in your entry today! The Race Packet is available for download by clicking the link in the upper left corner of your screen. Last chance for Safety at Sea in the Pacific NW before Oregon Offshore! The Sailing Foundation will be hosting a 1, 2 and 3-day Safety at Sea Seminar on Bainbridge Island, February 22-24. The full seminar costs $335/person, and will provide you with the hands on skills to keep yourself alive. For complete details on the agenda and pricing, visit The Sailing Foundation's website. If you would like to join the group traveling from Portland to Bainbridge, call Darroch Cahen at (971) 295-7070, or by e-mail at darroch at frye dot com. CYC strongly recommends that at least two crew on each boat racing the Oregon Offshore attend one of these seminars or its equivalent. Next year this recommendation will become a requirement, so you might as well get your crew qualified now! Oregon Offshore competitors and fans - stop by the CYC booth at this year's Portland Boat Show and say hello! We will have this year's shirts for sale, and any member who joins or renews at the boat show will receive a $10 discount on the purchase of CYC merchandise. The boat show runs from Wednesday through Sunday. For more information, visit http://www.otshows.com/pbs/. 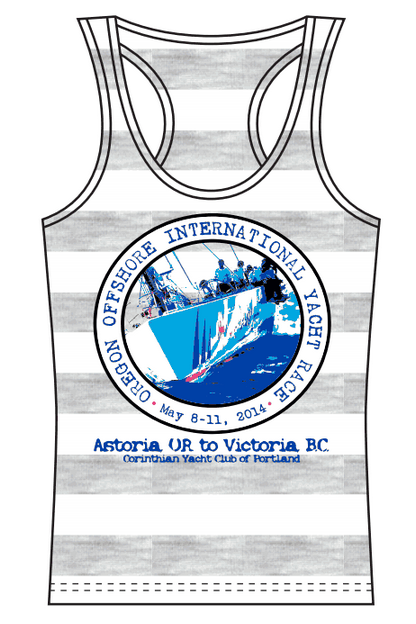 The 2014 Oregon Offshore Race Packet is now available for download. We've made significant changes to the Safety Equipment Requirements (SERs) this year, since PIYA has completely re-tooled their categories and requirements. Oregon Offshore is following PIYA's coastal+ guidelines with a few modifications. You can download the Oregon Offshore-specific SERs and the entire Race Packet (including NOR) by clicking on the links at the top left of this page. Feel free to contact us if you have any questions or need any additional information, and we look forward to seeing your entries!